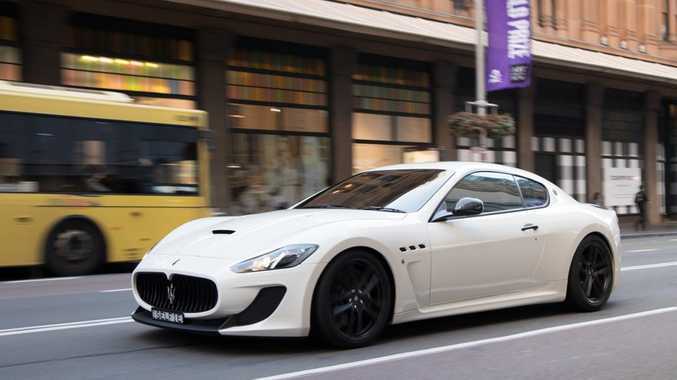 The 2014 Maserati GranTurismo MC Stradale. THE 2014 Maserati GranTurismo MC Stradale is this week's subject in my weekly blog. The MC Stradale is definitely one of the meanest sounding cars on the planet, and it's 4.7-litre, 32 valve V8 engine is capable of producing up to 338kW (454hp) at 7000rpm and 520Nm of torque (384 lb-ft of torque) at 4750rpm. Connected to the engine is an MC Race Shift six-speed automated manual transmission that sends all this power to the rear wheels. This gearbox is able to shift within 60 milliseconds when the car is in 'Race' mode. I will talk about all the different driving modes later on in this article. The 2013 Maserati GranTurismo MC Stradale is able to launch from 0-100 kilometres per hour in just 4.5 seconds, and it will keep accelerating until it reaches its top speed of 303 kilometres per hour (188 miles per hour). As I was saying before, this Maserati has a few different driving modes to choose from. First up we have the 'Auto' mode, which sets the gearbox in auto mode, and has the lowest throttle response available for smooth driving in traffic. Next we have 'Sport' mode, which puts the gearbox in manual mode to use the carbon fibre shifting paddles behind the steering wheel. It also speeds up the gear changes and also the throttle response. Lastly we have my personal favourite, 'Race' mode. This setting makes the steering sharper and heavier for greater control of the car; it sets the gearbox at the fastest shifting speed possible and also the fastest throttle response available. Some other features that this particular GranTurismo is equipped with includes 20-inch, 10 spoke MC Design alloy wheels wrapped in performance tyres, the carbon fibre package which adds carbon fibre on the mirrors, door handles and also on the rear wing, double-wishbone front and rear suspension, front and rear stabiliser bars, four-wheel ABS as well as traction and stability control, dusk-sensing xenon headlights, a leather interior with bucket seats, and much more. 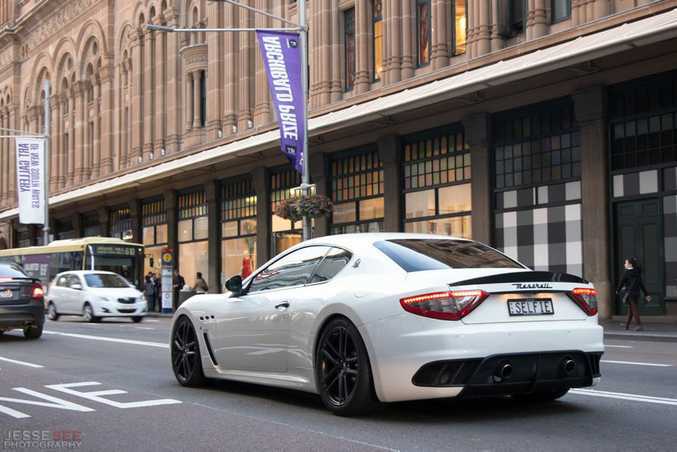 You can buy a brand-new 2014 Maserati GranTurismo MC Stradale from $377,360 drive-away.